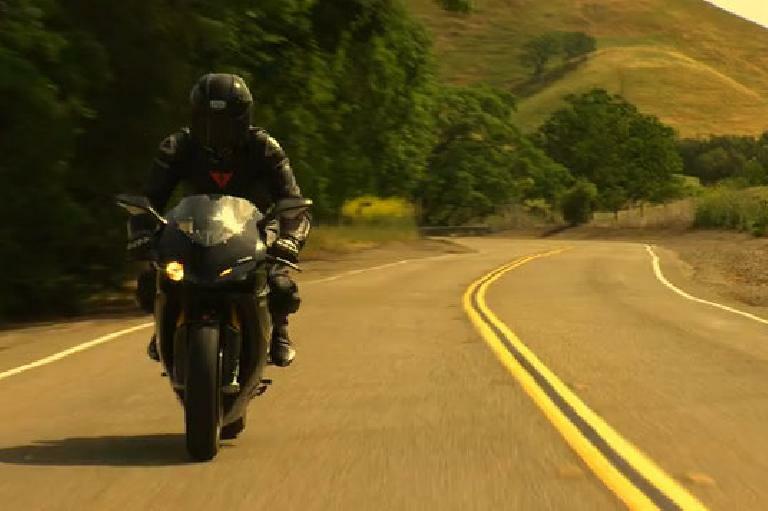 I came across the following video which captured the joy and essence of motorcycling so well that not only did it inspire me to take the Buell out for a quick evening spin on country roads “just because” (something I almost never do nowadays), but also to post it here. That it depicts a motorcyclist riding a hot Italian sport bike over roads I have bicycled and driven many times in a previous era only added to the emotion and, well, nostalgia. He starts out in a sleeping San Francisco before dusk and heads east through the Caldecott Tunnel, past the windmills of the Altamont pass and past what I think are the wineries of Livermore, over to the Delta, and concludes on what looks to me like Calaveras/Felter Rd. east of Milpitas, California. There are no knee dragging stunts or double-the-speed-limit felonies committed, just honest-to-goodness riding away from the confines of the concrete jungle and even other vehicles. It’s escapism at its purist in the SF Bay. Well done, Mr. Munsterteiger.